Put your special event date on your guests’ calendars when you design custom Save the Paisley invitation cards online. 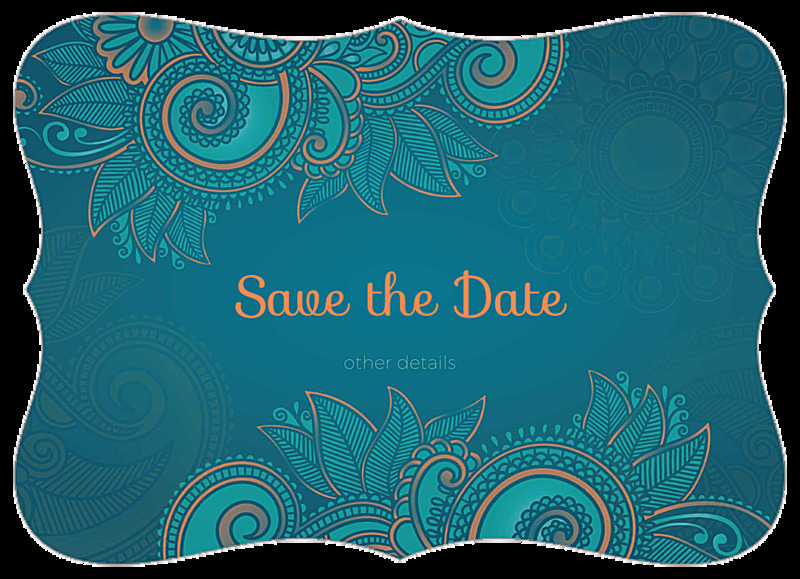 Save the Paisley is perfect as a save the date card, but can also be customized for other professional and personal social events. The front of Save The Paisley features your message and event details against an elegant paisley design pattern, available in your choice of three vibrant colors. 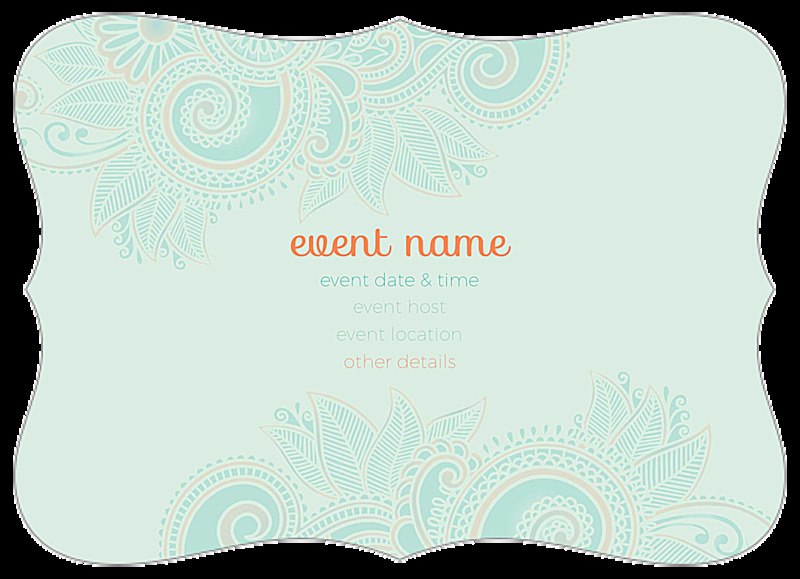 The back has the same paisley design in a pastel tone that accentuates the color scheme, plus plenty of space for your event name, date, time, host name, and location – you can include whatever details you want! Design invitation cards online with our Save the Paisley design template today! Our online design tool makes it fast and easy for you to create and print your own custom invitation cards. Start by choosing your favorite template from our invitation card template library, then personalize your invitation card design by adding whatever text information you want. After you’re done creating, all that’s left is to choose your paper stock options and printing turnaround time, then place your order. It’s that simple! Want to get feedback from your team, family, or friends before printing? Generate a free downloadable PDF of your personalized invitation card design to share. Thousands of businesses across the country trust PsPrint for fast turnaround and reliability every day. If you want professional-quality invitations at affordable prices turn to PsPrint. We’re so sure you’ll love your finished custom invitation cards that we offer a complete 100% customer satisfaction guarantee! PsPrint has an online greeting card maker to help you design custom greeting cards for all your special occasions. We also offer additional free templates, including celebration, fundraiser, thank you invitation card templates. With PsPrint as your online printing partner you can expect to pay a cheap price for a first-class product!